On top of that, young people in 2014 feel the pressures of a growing digital world, a difficult economy and tricky job market. And despite these hurdles that young people face, the media insist on giving them a tough time. They’re portrayed as lazy, unworthy of jobs and troublesome. In fact, the BBC recently reported that more than two thirds of 14 to 17 year-olds think their job prospects are affected by negative stereotypes. The media aren’t all to blame though: the motoring industry is familiar with giving young people a bad name too. There’s a lot of statistics that show young people are high-risk road users and we know that the data doesn’t lie. But that’s not to say all young drivers are bad drivers. We know they’re not: in January 2014, drivers using our telematics got an overall performance rate of 94%. Learning to drive is a coming-of-age moment, we all remember passing our test and getting our first car. 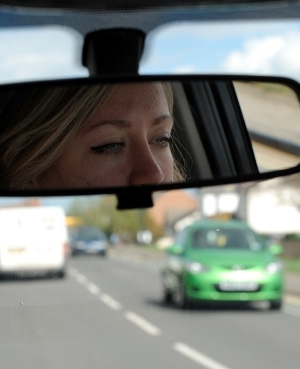 Driving gives young people independence, flexibility and responsibility. It’s something they want to achieve, but of course it does bring it’s own pressures as well. Learning to drive requires time, perseverance and hard work. There are tests to revise for and hours of practice to be done. Young people are overloaded with goals to aim for. In a couple of months, 12th-18th May 2014, it’s going to be Mental Health Awareness Week. Let’s realise now that it’s been too easy to pick on young people and that it’s time we stop and notice the pressures they are under. Over the next couple of months it’s even more important that we cut young people a little more slack. That doesn’t mean they will become the ‘miserable, irresponsible teenagers’ the media predict, as argued by Fran Abrams. Instead, let’s support them through these exams and encourage them to do something fulfilling: like learning to drive.